Here are the Final Results for World Ice & Snow Sailing Championship with division scoring from Lake Winnebago, Fond du Lac, WI USA. 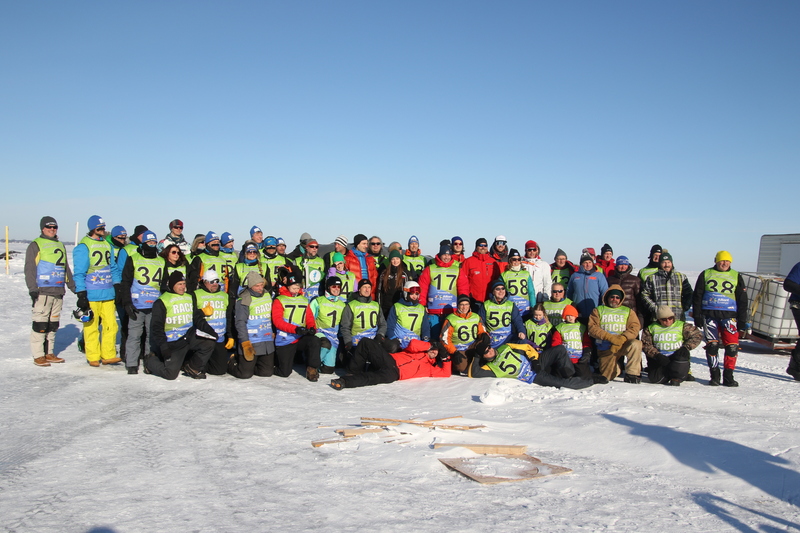 Day #2 (Thursday Feb 7): Sleds and Wings raced STS in late morning due to lighter wind. In afternoon, kites, sleds and wings did 2 course races. Late afternoon and under the lights, the Sleds and Wings did more STS racing. Day #3 (Friday Feb 8): Conditions were windy (20-25 mph gusting 30+ West) Kites raced 4 course races in the morning. Sleds and Wings raced 2 course races, then did STS. In the afternoon, Kites did upwind/downwind long distance race and Sleds & Wings did a reaching long distance. The long distance was timed at 50 minutes with place determined by number of laps completed and order finished. The speed trials were also held in the afternoon on a broad reach run using a radar gun. Day #4 (Saturday Feb 9): No races were held due to light wind. Awards Dinner is tonight at the Radisson in Fond du Lac. Special thanks to our main sponsor Alliant Energy and the Destination Winnebago / City of Fond du Lac. Also thanks to everyone for coming and the dedicated staff and volunteers that made this event possible. Updated Results posted March 19. © 2019 WISSA 2019. All Rights Reserved.